The Indian Embassy told that 150 people are stranded in Simokot, headquarter of Humla district, while 50 people are trapped in Hilsa near Nepal-Tibet border. 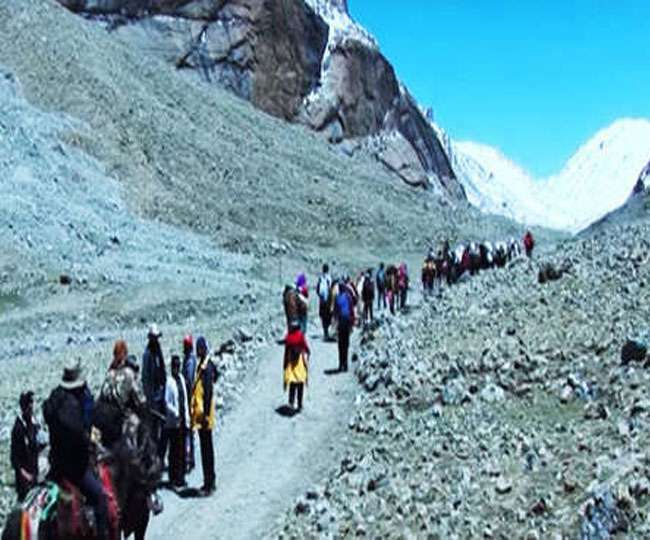 [Kathmandu]: 200 pilgrims who went to visit Kailash Mansarovar were trapped in Nepal's hamla district due to bad weather while returning home. Last month more than 1500 pilgrims were trapped due to bad weather in the same area. Later, with the effort of Indian Embassy located in Kathmandu, all these were taken out of the airway. The Indian Embassy told that 150 people are stranded in Simokot, headquarter of Humla district, while 50 people are trapped in Hilsa near Nepal-Tibet border. Since the weather is very bad at this time, it is not appropriate to take all these pilgrims out of the plane and bring Nepal Jalan. The Embassy has alerted its representatives present in his Simikot, Hilsa and Nepalganj and asked to keep the situation continuously. Not only that, the representatives of the Embassy are in constant contact with pilgrims and their families. They say that the situation is completely under control and all the stranded pilgrims will be taken out as soon as the weather is clear. Let us know that Nepal's path is easy for those who visit Kailash Mansarovar. How to Download Embedded Flash Files Using Chrome browser? Explain the Concept of Cross Elasticity of Demand?